We could enumerate 100 reasons but here below are 13, which may stimulate your desire for a new phase of life in Sotogrande, as a holiday home or relocation. 1. Close enough to be a considered Marbella, but also distant enough to have its own identity, Sotogrande offers an extraordinary lifestyle in a unique location. It is not for everyone, but if your values are family, sport, and generally a healthy lifestyle, then in Sotogrande you will find discerning like-minded people enjoying their homes and all the world-class sports facilities the resort has to offer. 2. Golf: There are four golf courses in Sotogrande including top class Royal Club Valderrama – host to the European Tour, Volvo Masters, World Golf Championship, Spanish and Andalusian Masters, and the 1997 Ryder Cup. La Reserva Golf Club, designed by leading golf course architects Cabell Robinson, and the Real Club de Golf Sotogrande the Real Club de Golf Sotogrande, designed by Robert Trent Jones. 3. Polo: The resort has eleven polo fields belong to the Santa Maria Polo Club, one of the best polo clubs in the world. Sotogrande hosts the exclusive Polo Summer Season with a great number of tournaments which see many Spanish and overseas Patrons, professional players and horses. 4. Other sports: Three tennis and padel clubs and Soto Tennis Academy; Golf Academies, rugby club; sailing club; equestrian centres; cycling. 5. Marina: The marina has 1,400 berths capable of taking boats of up to 30m long, and exceptionally even larger. Sailing and motor boating are very popular, with top class regattas held throughout the year. 6. Beaches: The Trocadero beach club, the Octógono Beach Club, and the “Beach” at La Reserva are clubs where beach bars and water sports can be enjoyed. In addition, local “Chiringuitos such as Gigi’s beach, Chambao, and Bahia Limon pop up during the summer months. 7. 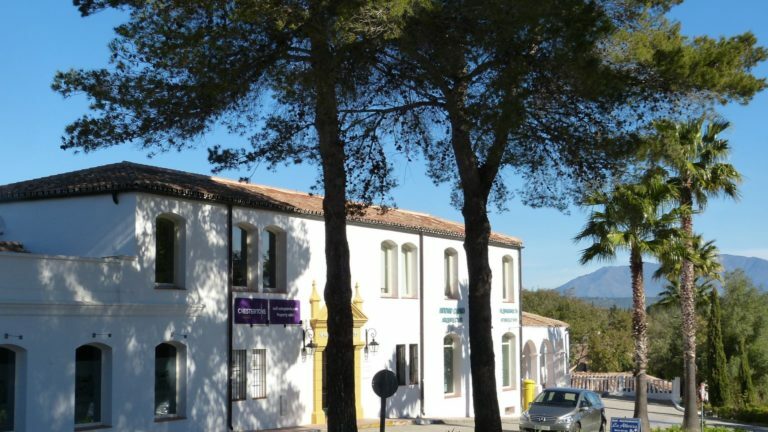 School: Sotogrande hosts one of the country’s best ranked English-speaking schools, namely the Sotogrande International School. Children from more than forty different nationalities attend. 8. Location: Africa is within eyesight, but with Gibraltar, Malaga, Sevilla and Jerez airports, all of Europe is only a few hours away. 9. Property: Sotogrande offers something for everyone. Marina apartments, penthouses, townhouses, traditional Andalusian villas, modern new builds, and the most amazing mansions currently being built in La Reserva de Sotogrande. Additionally, prices in Sotogrande are much more affordable than Marbella, at least for the time being. 10. If you have you always wanted a lifestyle in a harmonious environment that offers maximum privacy, as well as a cosmopolitan community life with neighbours and friends……you have found it in Sotogrande! Sotogrande offers a simple life with picnics on the beach or in the countryside, as well as a sophisticated dinner party or dinner in a gourmet restaurant? 11. 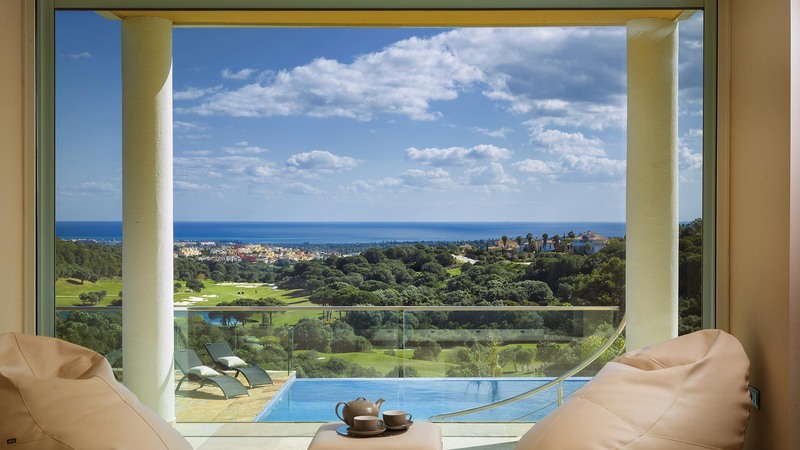 Sotogrande offers a relaxed family and country club lifestyle with beach clubs, tennis, golf, water sports and spas, as well as hikes in the incredibly beautiful Andalusian countryside or the lively beach life at the Sotogrande beaches. 12. Sotogrande is characterized by its exclusivity and elegance, and is one of the largest resorts in Europe with its 2000 hectares of land. 13. There are so many interesting places nearby to explore, such as Ronda, Jerez, Seville, Malaga, or just the beauty of the country side of Andalucia.